act and grow – in verifiable, trackable ways. Where the media is our passion, our goal really lies in a different place. The media is for us the most important tool for our actual mission: which is social engineering. Building a world we want to see, one community at a time. Business is our platform, inspiration is our message, media is our tool, culture is our engine, Africa is our target. All of this is founded on a simple, but 10-year-strong premise: there is no force in the universe more powerful than an inspired, empowered human being. To inspire large audiences of Africa’s youth to think, to act, to grow – in verifiable, track-able ways. With the unrivalled experience and insight, unmatchable track record and endless networks we have built – boots on the ground – across the 36 states of Nigeria, and 26 countries in Africa, no one knows Nigerian and Africa’s youth as well as we do – across trend-lines in music, movies, development, television, schools, fashion, technology, politics and lifestyle, Online and offline. This is the media content company for our television and online products as well as multimedia production for a string of clients. Our products include the TV shows Rubbin’ Minds (Channels TV), eXploring! (ONTV) and In Conversation (soon on EbonyLife TV), the online magazines YNaija.com, TheSeptemberStandard.com, TechAfri.ca and the radio show The FrontPage (Radio Continental). Its events include The Black Ball and The RED Summit. Generation Y! focusing on telling inspired stories to African audiences. Our communication agency has a simple mandate; designing and executing strategy that gives joy to clients, everyone from churches, through corporates to governments. Our campaigns engage, convince and convert customers/audiences for our clients by inspiring rather than manipulating them; by creating a movement powered by love and admiration. Its specialized arms are StateCraft (governance), Nucleus (digital) and ChurchCulture (faith). Red Media Africa is the communication agency to reach and inspire the largest number of Africans at any time. The Future Project has a simple mandate - to build empowered citizens across Africa, through (inclusive) enterprise and (active) citizenship. This focus on Human Capital Development is informed by our value proposition: Africa’s growth needs a generation of young people who are gainfully employed and able to demand better leadership. This will become more important as African youth take the world stage. Our vision is to inspire a generation of equipped leaders committed to social and economic development in Africa. StateCraft is Africa’s leading governance communication firm, with a mission to galvanise a generation to make informed choices. 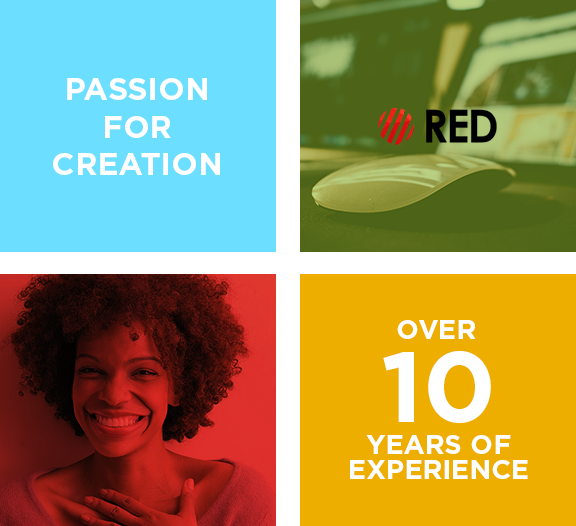 It is a subsidiary of RED, an innovative media group focused on exciting and empowering an evolving generation of Africans through the media’s limitless possibilities.